I’m faced with yet another challenge! My girls were born 5 days apart (and 2 years of course!). Come birthday time – what do we do? 1 party for both? Well, that was my intention this year since the baby was turning 1 and, let’s be honest, she won’t know the difference! But then my sanity flew out the window and I planned a cookout at the last minute to celebrate Bianca’s big day. Nothing fancy, but lots of work nonetheless! Then it was Gia’s turn and since her birthday fell on a school day I obligated myself to taking cupcakes in the afternoon so we could all sing her “Happy Birthday” together! And finally the “kiddie party” was on the weekend. Dora has been playing a big part in her life lately so I stuck with that theme. I sure wish I had been smart enough to come up with the concept for Party City! Whoever did must be a gazillionaire!!! I’m such a sucker for putting together a nice-looking party, though. Thank goodness I love arts and crafts and I always try to have a few (if not most) of the decorations homemade. Here is my version of Dora’s friend Map! I got the idea from one of my favorite websites: Pinterest! 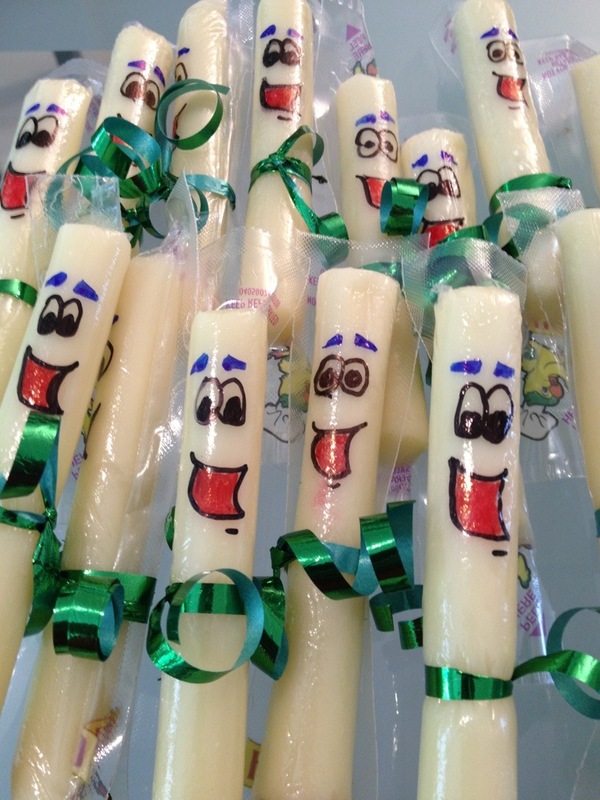 I used low-fat cheese sticks and a Sharpie to draw the face on. It only took about 5 minutes to do 24 of them. A trip to the dollar store and Target’s clearance aisle made the favor bags a cinch to put together. 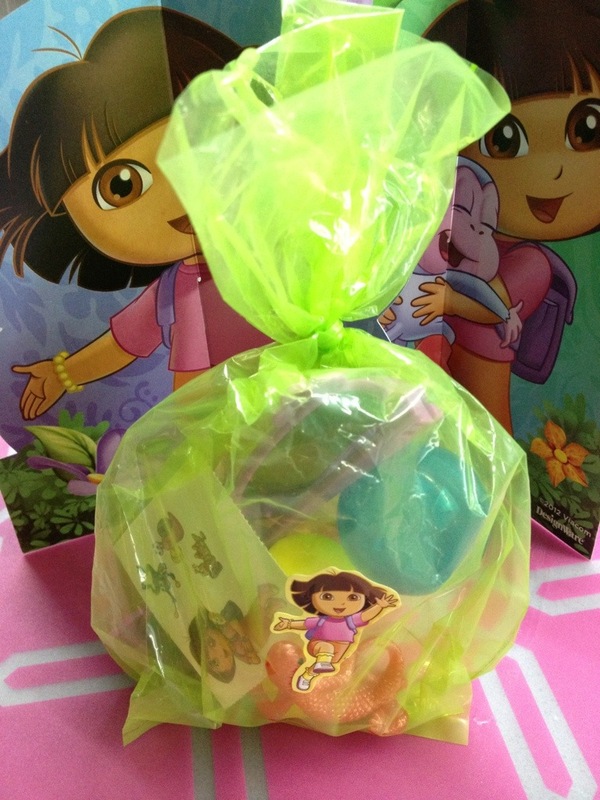 I found small bottles of bubbles, Dora sunglasses and tattoos, yo-yos, and stickers. 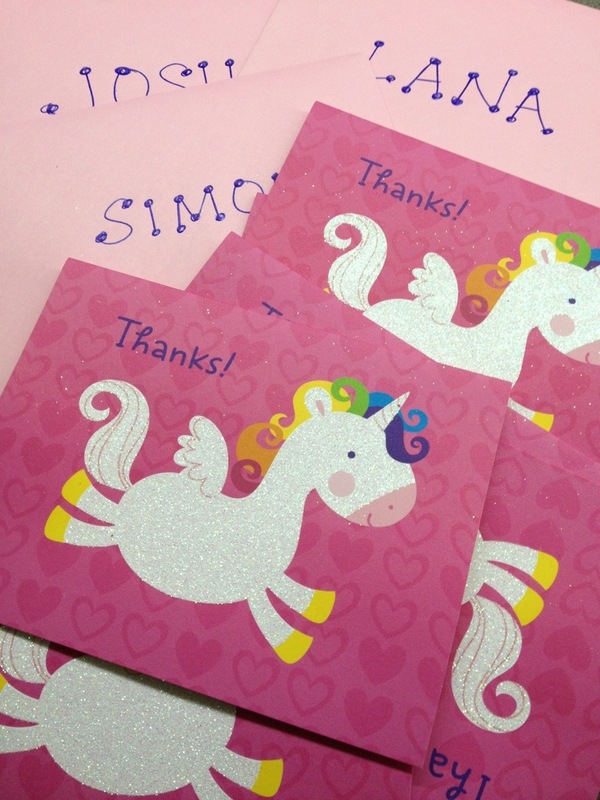 Last, but definitely not least, you can’t forget the thank-you cards! Of course, in the end it was all worth it! The girls had so much fun and so did we. Next time I’ll give myself more than a week to pull this all together though! Next Post → Kindness counts. Wow, the cheese map rocks! You got one lucky family! Oh my gosh you did a GREAT job on Gia’s bday bash. Loved the Dora theme and Lana keeps looking for “map cheese” whenever we have cheese sticks now! Congrats on a job well done. Thanks Karen! I was so glad you made it to the party! Ha! Good luck!! I think what helped me was that I bought the thank you cards when I bought the invites and kept them out on the kitchen counter to act as a constant reminder to get them out of the way! My boys were born a year and a day apart. I totally know what you mean about combining parties. Great ideas you have here. I would love to split but it is hard with them that close. That’s too funny, my daughters are 2 years and 10 days apart. They will be turning 4 and 2 this coming July/august and I’m hoping my soon to be 4 year old is OK with a combined birthday party. This Dora theme is really cute! Good luck! I’m sure she will be fine!